Lucania was an ancient area of Southern Italy. It was the land of the Lucani, an Oscan people. It extended from the Tyrrhenian Sea to the Gulf of Taranto. It bordered with Samnium and Campania in the north, Apulia in the east, and Bruttium in the south-west. The precise limits were the river Silarus in the north-west, which separated it from Campania, and the Bradanus, which flows into the Gulf of Taranto, in the east. The lower tract of the river Laus, which flows from a ridge of the Apennine Mountains to the Tyrrhenian Sea in an east-west direction, marked part of the border with Bruttium. 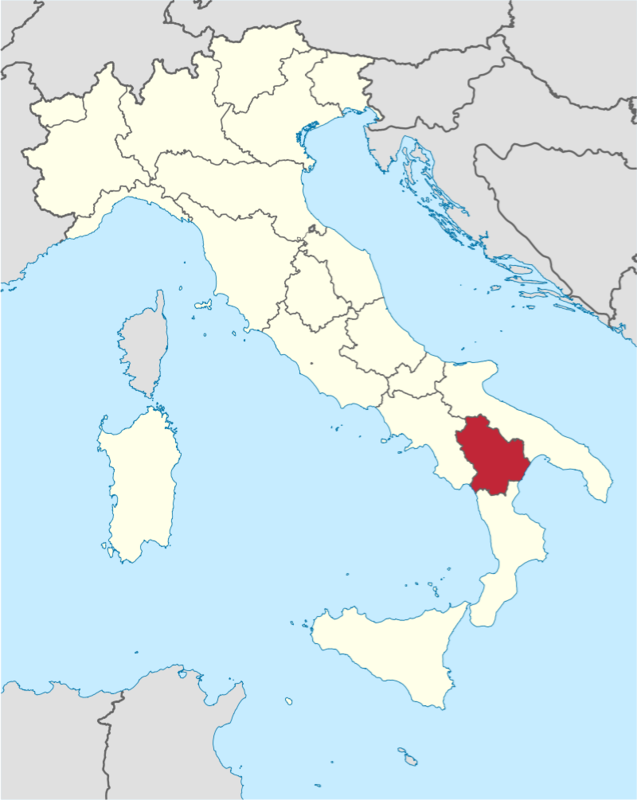 Almost the whole area is occupied by the Apennine Mountains, which here are an irregular group of lofty masses. The towns on the east coast were Metapontum, Heraclea, and Sins. To the south stood Sybaris. On the west coast stood Posidonia, Elea, Pyxus, and Laüs.